Senior Travel Consultant at our travel agents in Bury St Edmunds, Stacie Harvey, recently enjoyed a fantastic trip to America’s east coast. Here’s what she thought of her visit to New York, Gettysburg and Philadelphia. Our outbound flights were with Virgin. The seats were comfortable for economy with a good level of leg room and seat recline. We also received very good service with lots of in-flight entertainment choices, along with an abundance of food so we didn't go hungry. Our return flight was with Delta. The seats seemed a little larger and felt like they had an extra bit of legroom. The service was not quite as good as our outbound flight but overall it was a good overnight flight home. Skyline New York: The hotel has recently received a refurbishment, which has been tastefully done, and all of the staff were very welcoming. Our rooms were located in the back tower area of the hotel and, although they require a supplement, they are larger and therefore worth the upgrade. On site, they have a bar/restaurant which offers Tex-Mex food, daily happy hours and live music. 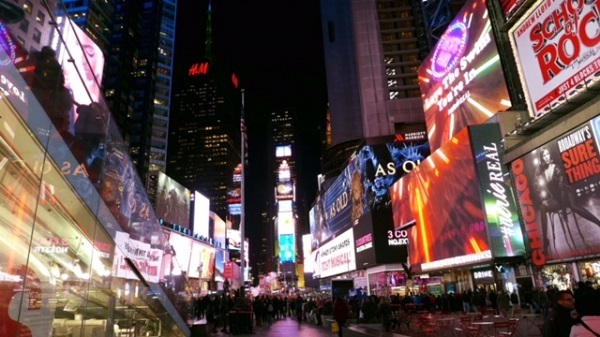 The hotel is located about 15-20 minutes’ walk from Times Square and 30 minutes from Central Park. We did, however, make good use of the taxis, which were fairly priced. I would say the only downside of this property is its location, but it’s perfect for anybody trying to stay in New York on a budget. Lancaster Heritage Hotel: The hotel is located 10 minutes from downtown and is a nice, if basic, hotel. It was very clean and used a lot as an overnight stop in this area. The Robin Hood theme was a bit different and rather quirky, and there was a tree house bar/restaurant that offered a nice American buffet breakfast and bar style meals in the evening. Wyndham Gettysburg: This is a large hotel with an American civil war feel, complete with a replica cannon from the Battle of Gettysburg in the hotel reception. The staff were very friendly and offered us a nice welcome drink on arrival. The hotel is situated about 15 minutes out of town, in a retail park area with a cinema and restaurants. Although it was a nice enough part of Gettysburg, I would recommend choosing a downtown hotel so that you can explore pretty Old Town and really feel like you're immersed in the history of the area. Wyndham Philadelphia: The hotel is located in the historic district of the city, three blocks away from Independence Hall and the Liberty Bell. It’s a great location and means that most of the city’s sights are within walking distance. It's a large hotel with friendly staff, spacious rooms and an American breakfast buffet. There’s no restaurant on site but bar snacks are available if you want. However, as the location is central there is a wide choice of restaurants and food halls right on your doorstep. NYC: We took a New York city tour to see all the major sites such as Grand Central Terminal, Fifth Ave, Central Park, the Empire State Building, Trump Towers, the 9/11 memorial ground and many others. Everywhere we looked reminded us of a film and the whole city felt like one big film set. This tour also included the Hudson River Boat which gave us a different perspective of the city allowed us to appreciate the vastness of the amazing skyline. Lastly, our boat ride took us out past the Statue of Liberty. After our city tour, we had to visit the 9/11 museum which has been built on ground zero. The events that happened that day have caused major changes to our world as we know it. Our visit was emotional at times, but it’s also a place that gives memories and a personal tribute for each person that lost their life that day - not just a name on an endless list. It's a place for families and friends to share their lost loved ones with the world and is very much worth a visit. The two footprints of the original towers now feature a waterfall memorial with a memorial etched with the names of everyone lost that day. I loved my time spent in New York. It most definitely is a city that never sleeps. Amish Country: Just a few hours from the bright lights of New York, we found ourselves deep in the Pennsylvanian countryside and in an area of Lancaster that they call Amish Country. I really didn't know much about the Amish culture before my visit and was quite surprised. I thought they lived closed off from the world but this is far from the case. They live side by side with ‘English folk’ (anyone not Amish), they own businesses, work in local shops but mainly they own land for farming. You can spot an Amish house by the large gas tank on their land, along with no TV/Sat aerials or telephone wires. That evening, we headed to a local Amish family home for an evening of insight and homemade food. We sat down to eat and the mother of the family explained some of the Amish ways, beliefs and values. I was always under the impression that they have no source of electricity in their homes but they do have self-generated electricity, which is created using generators, solar power or extra-large batteries. They do not get their electricity from the grid as they feel this is a connection to the outside world. Amish men & women do not cut their hair and the men only grow beards once they are married. Amish children are sent to school but only to Amish schools and they do not stay further than the 8th grade, as they feel they don't need any further academic learning past this age. This is when they start their Amish teaching from home. The Amish also worship at home every other Sunday for as long as three hours and take the no working on the Sabbath Day belief very seriously. Once an Amish child reaches 15/16, they enter a period of their life called Rumspringa. This is when they can leave home and discover the English ways, deciding for themselves whether they want to remain within the Amish community. Over 90% decide to return to their Amish homes/families and choose to get baptised and fully take on the Amish faith. 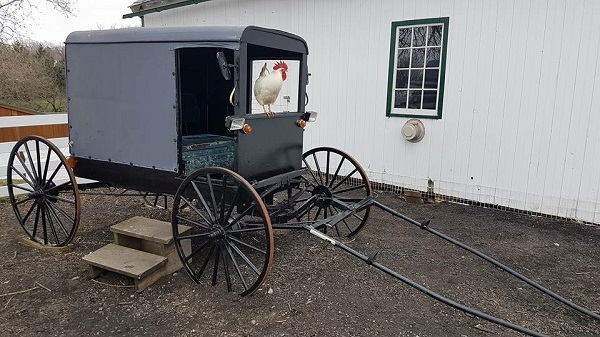 The next morning, we made our way to an Amish farmhouse which is now used as a museum and was, rather strangely, next to the local Target (supermarket chain). Here we were able to see in more detail how Amish homes are set out and look closer at the traditional clothing and workings of an Amish farm. Gettysburg: The next part of our tour took us to Gettysburg. Gettysburg is where the famous game-changing battle of the American Civil War took place in 1863. We spent the afternoon at the Gettysburg National Military Park Museum & Visitor Centre, learning all about the historic three-day battle. The museum is home to lots of war artefacts, along with a unique fully-restored Gettysburg Cyclorama and the film “A New Birth of Freedom” narrated by Morgan Freeman. The Cyclorama is a sound and light show of the 377-foot painting by Paul Philippoteaux completed in 1884. Following the museum, we headed out to the Battlefield. This is where we got to see the enormous area the battle covered and its changing landscape. Parts of the battlefield still look much as they did in 1863 and feature fences, hills, rocks and restored cannons. 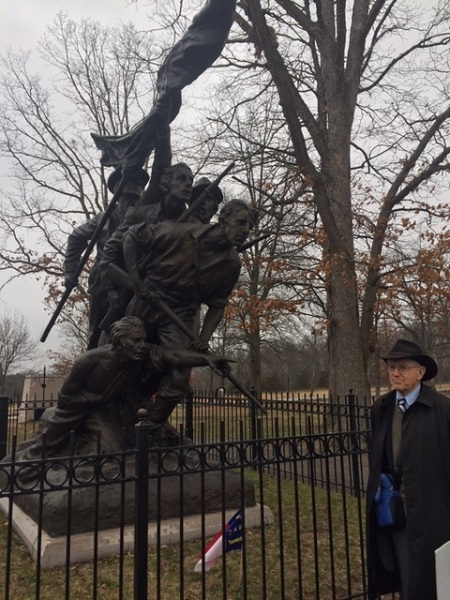 Our very knowledgeable tour guide John, who was 84-years young, brought the landscape to life, explaining the pivotal parts of the three-day battle. He talked continually for two hours without a script or prompts - a true historian. The battle took place over the 1st, 2nd and 3rd July. More men fell during the Battle of Gettysburg than in any other battle on American soil before or since. When both armies marched away from Gettysburg, they left behind over 51,000 soldiers who were dead, wounded or missing. Many Union soldiers who died here are buried in the Soldiers National Cemetery where Abraham Lincoln delivered the Gettysburg Address. This battle was the start of the new United States of America and finally triggered the complete abolishment of slavery for the entire country. That evening, we headed to the Dobbin House Tavern. This is Gettysburg’s oldest, most historic house and was built in 1776. This house still features the secret crawl space which served as a stopping point for runaway slaves on their dangerous journey to freedom in the north. We ate by candlelight in the area of the house called the bedroom, which featured four poster beds that had been made into dining tables and chairs. It was a very different dining experience and one that wasn’t like any I’ve had before, but it was very enjoyable. 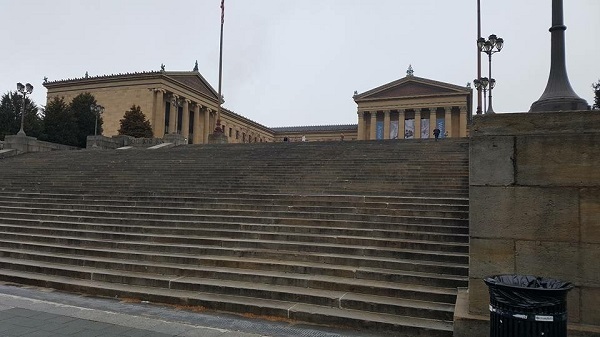 Philadelphia: Next stop was Philadelphia and a trip to famous Rocky Steps. The steps became famous as a result of their appearance in the film Rocky and five of its sequels. A bronze Rocky statue is located close to the bottom of the steps and always draws a crowd of photographers. I found some energy from somewhere and managed to run up the iconic 72 steps. We also took a visit to the Liberty Bell, an iconic symbol of American independence and once found in the steeple of the Pennsylvania State House. The bell was taken in for restoration and this is when it developed its famous crack. So, the powers that be decided to leave it alone and today it is located in the Liberty Bell Centre. It was famously rung to mark the reading of the Declaration of Independence which led to Independence Day on July 4th. As you can imagine, the Independence Day celebrations are huge in Philadelphia as this is where it all began. Just beside the Liberty Bell Centre sits Independence hall. The role of this building was very important, as this is where both the United States Declaration of Independence and the United States Constitution were debated and adopted. The building is part of Independence National Park and is listed as a World Heritage Site. We also made a whistle-stop visit to the United States of America Mint, which is located in the city centre. This is one of only three active mints in America - the others are in Denver & Fort Knox. It was quite incredible to see endless conveyor belts of coins getting made right before our eyes. A little fact I picked up from my visit is that every coin has either P, D or F on it to show where it was made. You only need a little while here, but it’s well worth a visit and is free to enter. Our last stop before leaving the city was the Reading Terminal Market. Established since 1892, this is the nation’s oldest continuously operating farmers market. Here, you can enjoy eating virtually every type of cuisine and it’s home to the best Philly cheese steaks in Philly, along with some traditional Pennsylvania Dutch fare. The north-western corner of the market is devoted to Amish merchants and shows how the Amish faith has progressed slightly with the modern age. There are too many to choose a clear favourite as the tour offered a diverse glimpse of some of the historic cities of the US. But I did fall in love with New York! I can't wait to return and see the sights I missed. I enjoyed learning more about the culture of the Amish, as well as seeing the key historic sights that put events in motion which changed the States into the country we know today. Locations of some of the hotels could have been more central, along with entrance fee inclusive to the tour. Make sure you are clear on which excursions are included in the cost of the holiday before you book. I would recommend this trip to anyone who wants to see the historic side of America along with some the country’s famous sights. Just be aware you don't get much free time to yourself, but you do get to see so much. Must do? 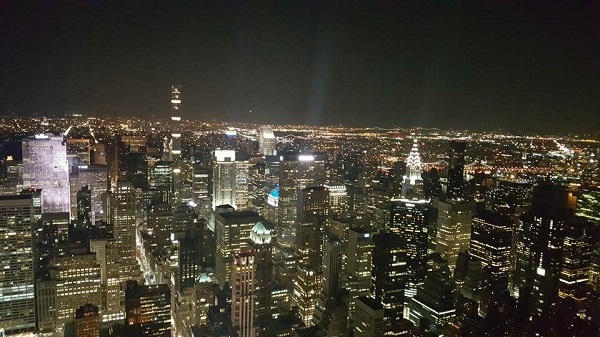 A trip up the Empire State building at night to take in the bright lights of the city. If you would like to follow in Stacie’s footsteps, we can help you plan your dream holiday to America. Whether you want to explore these historic sites or simply stick to the main tourist areas, we will help you arrange everything. Drop into one travel agents in Suffolk, Norfolk, Essex or along the south coast to speak to one of our specialists.